June, 2017 | Liberta Inc. | Liberta Inc.
We will tell you about ‘Real in Entrepreneur ship’. https://liberta-inc.com/en/wp-content/uploads/2017/06/19449428_1316920768421817_125475884_o.png 720 1280 Liberta Inc. http://liberta-inc.com/en/wp-content/uploads/2017/02/liberta-logo-300x75.png Liberta Inc.2017-06-27 08:28:032017-06-27 08:34:2424th July, the event "Entrepreneurs experienced buyouts"
Liberta Presents ViTALIZE Vol.1 Why are intrepleners now required? It is an archive of talk events held on June 2, 2017. Discussion on how people working in the company overcome distortions and try to achieve self-fulfillment within the company, how to work like their own, and how to do it. The video archive is here. The rainy season has arrived! During this period, it tends to be awkward to go outside. But this special feature is a plan to dare to enjoy this rainy season in Japan. There are various ways to enjoy such as department stores that are good at rain, great play facilities on rainy days, shopping for rain goods … and so on! Let’s have a fun day of “rainy day”! · Research on Village Vanguard! We made this feature at our company Libertà. Hopefully the rainy day will be fun with this special feature! Let ‘s enjoy the rainy season. Friday, June 2, 2017, Liberta Presents ViTALIZE Vol. 1 “Why are Intrepreneurs required by companies?” – to work in the company like entrepreneurs – over 100 people participated, and the co-working space “LODGE” operated by Yahoo! JAPAN who became the venue was enveloped by hot enthusiasm. The speaker is an active company worker who makes a unique way of living + the entrepreneur of a former big company. “I will cross over the dates and work overtime …” “I sometimes see posts that can be appealed to themselves as self-ingraining as” holiday work … no work is over “,” Shachiku … “and so on. While watching such a scene, I think that the people are doing their best quite a while, but what is the inner satisfaction of fulfillment? The worry of being caught at the same time crosses my head. In the first place what is Shigoto? What is the happiness of life? What is the company for? This event was held from the desire to provide an opportunity to think again about the fundamental theme as such a person. A panelist Maki Yamaguchi (Working at Pfizer / 2016 Mrs World Japan Representative). Although I am at a company, I work for a global company such as participating in Mrs WORLD, participating in band activities, Tahitian dance, political cram school, but I have no choice but to challenge my life. Mr. Noutomi from NPO corporate free area originally worked for a major talent company. Right now, I am managing a new form of human resources venture that matches companies with people seeking an essential way of life, such as high school dropouts, NEETs, second graduates, returnees and returnees. Show off his philosophy of human resources. Essential way of working, how to send life was defined. Mrs Senda, front stage representative. After working as a teacher and employee of a major cosmetic company, I am actively acting as a representative of a PR company I started in my own right now. He presided over the power mama project, and also published a book. 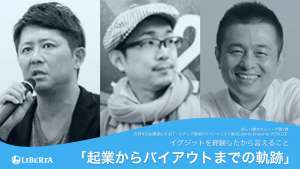 As a company manager, I got a comment overlapping with the purpose of the event, that I wanted to leave Shigoto to those who worked with consciousness like entrepreneurs. From the venue side, questions such as “How can I work like an entrepreneur” “How to convince a company?” Panelists responded through their experiences. Mr. Noutomi of the NPO corporate release area talks on the theme of “Sending a healthy stop-off way life”. We talked about necessity of individual, creation of relationship with company, dialogue with ourselves etc. 【Guest Talk】 Mr. Hiromi Okuda, author of the group with the choice “Do not quit the company” talks for 30 minutes. We started talking about using robots in rural regions where remarkable advancement of aging society is going on, where we are going to do and what to do In the box (where we are going to do it) there is no need to get caught in the first place . People listening to the story. I got stimulation, I enjoyed it, I thought about trying hard from tomorrow, and so on. After listening to the talk, I introduce myself among participants. Share with people who met for the first time what kind of change and awareness they participated in today. It also became a networking between different industries. Gra-Reco Team visualized the achievements of today’s event and recorded it. We created high-quality illustrations so that participants can visualize and memorize as vision. Reframing of Gra-Reco. The recorder summarizes today’s event. Commemorative photo with the organizer. After this I went to a party party. Mrs Okuda thanked gratitude for participating in the social gathering. It seemed that that day was a wedding anniversary, it was as much as I could. Azu Kawahara who is the famous event organizer at the venue! He was also motivated by today’s talk facilitation. I would appreciate it if you could join us at the next event. Representative Sawano and Mrs. Okuda took a picture. I was stimulated by Mr. Okuda ‘s human nature, my way of life giving courage to men. A beautiful heart moves people. Everyone who visited us, I think that there were not many things, but thank you. I will continue to hold events regularly in the future. Thank you for the pleasure of lots of pleasure. I got encouraged! https://liberta-inc.com/en/wp-content/uploads/2017/06/P1300908-1.jpg 648 971 Liberta Inc. http://liberta-inc.com/en/wp-content/uploads/2017/02/liberta-logo-300x75.png Liberta Inc.2017-06-04 11:21:222017-06-05 13:00:04June 2, 2017 held an event "Intorepreneur"